Right now as I type this, I am listening to my favorite music wirelessly on my phone through my Bluetooth Speaker! It is one of my favorite little music accessories because I don't have to carry around my phone all around the house as I work and such a little speaker has such quality sound! If you are looking for a GREAT Wireless Bluetooth Speaker like mine, let me recommend The Orbit Portable Wireless Bluetooth Speaker from Altec. It will change the way you listen to music FOREVER and you won't know how you lived without it! Small and lightweight, this Bluetooth speaker provides rich, high quality sound. It connects wirelessly to Apple®, Android™ and BlackBerry® devices, along with tablets and laptops. A built-in Aux jack makes this speaker compatible with any device with a headphone jack. The rugged rubberized skin protects it from damage, and you can enjoy up to five hours of music without having to recharge. The Orbit is light enough to carry with you anywhere. A convenient carabineer clip will let you attach it to any bag, backpack, or even a belt loop. Control the volume from your device or the speaker. With up to five hours of battery life, you never have to worry about being near an outlet. It will even continue playing music while you text, email, or surf the web. 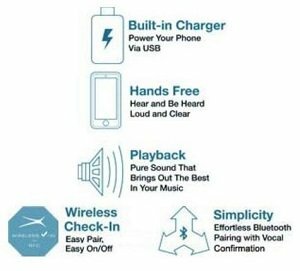 Plus, pairing your device to the Bluetooth speaker is easy! Just press and hold the power button for a few seconds until the LED light begins to blink. Choose the "iMW355" from your device, and it is memorized into the unit, ready to go at any time. With Voice Confirmation, you'll always know the status of your connection. The Bluetooth speaker will store up to eight different sources in its memory. The Orbit's built-in microphone lets you enjoy hands-free calls and video chats. In the office or the park, conversations will be crisp and clear. The DSP Audio Enhancement technology provides optimum sound quality. The Orbit looks and feels as great as it sounds. With its high quality construction and industrial strength molded casing, it is more than just a pretty package. They have created a sturdy and well crafted device that is built to last. And most importantly, their high definition speakers will play your music clearly, allowing for big sound out of a small form factor. The precision, full-range drivers make it ideal for outdoor parties, beach trips, or any activity where you want your music to be heard. Win It: Altec is generously offering (1) Orbit Portable Wireless Bluetooth Speaker to a lucky winner!